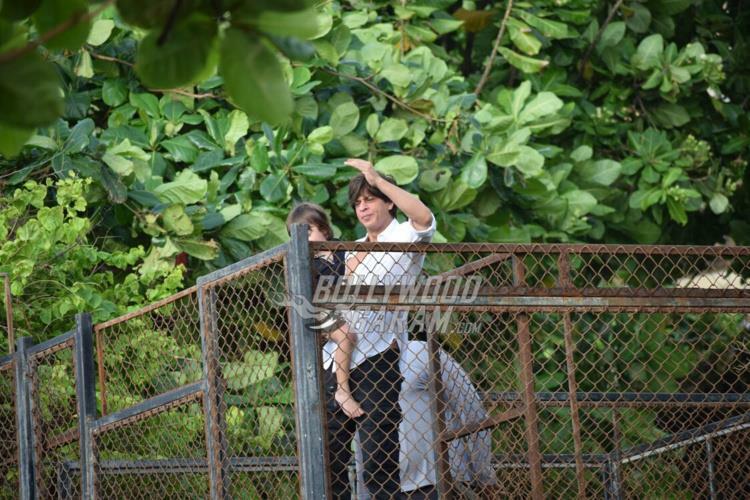 Shah Rukh Khan fulfilled the ritual of waving to the fans from his residence on the occasion of Eid in Mumbai on September 2, 2017. 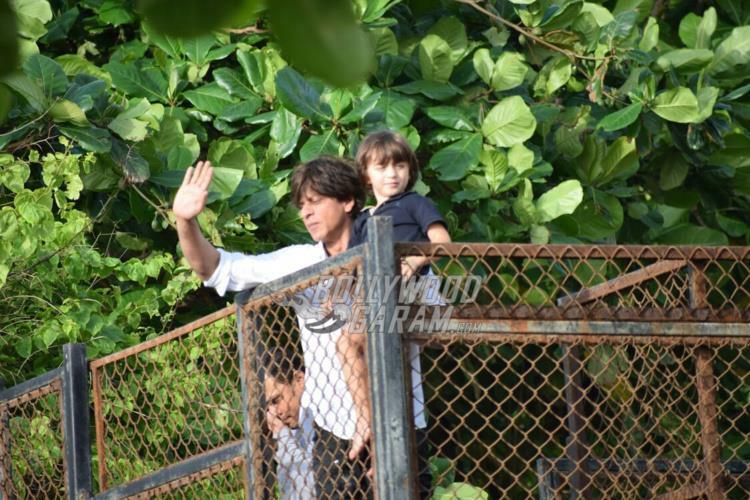 The Kal Ho Na Ho actor has always made sure to celebrate every possible festival and has also made sure that his children know every such ritual during festivities. 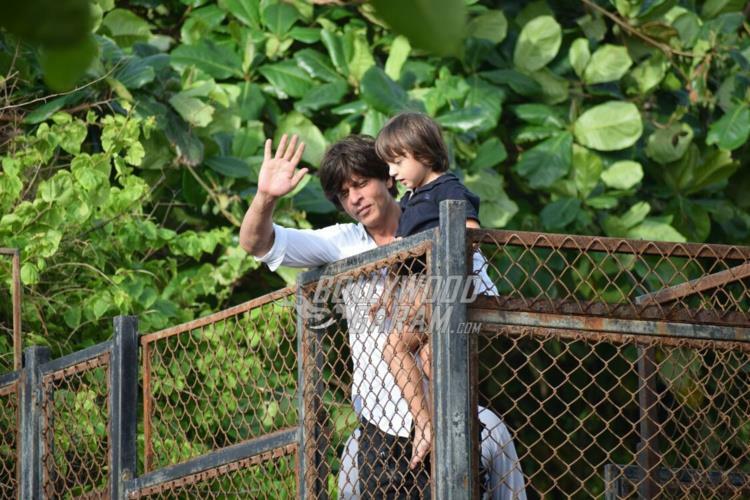 Shah Rukh came out with his youngest son AbRam, to wave for his fans waiting to catch a glimpse of the star. 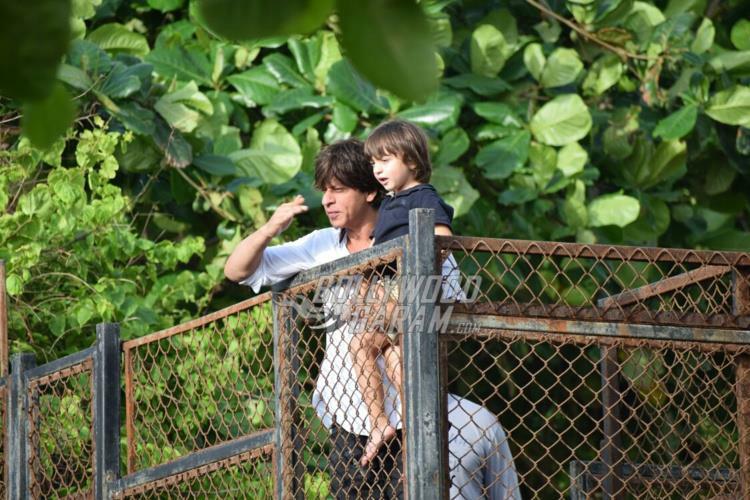 The Raees actor looked great in a white shirt and black pants while AbRam was seen in a black t-shirt brown pants. 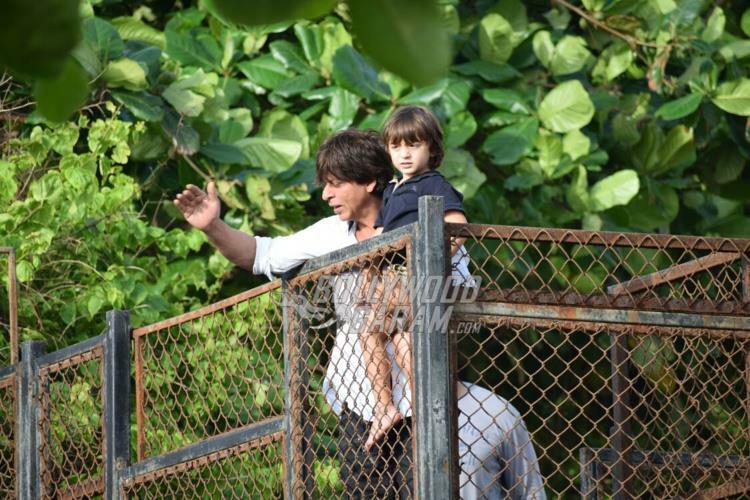 The fans enjoyed the way AbRam was following his father’s body language and also waved at the cameras and fans. 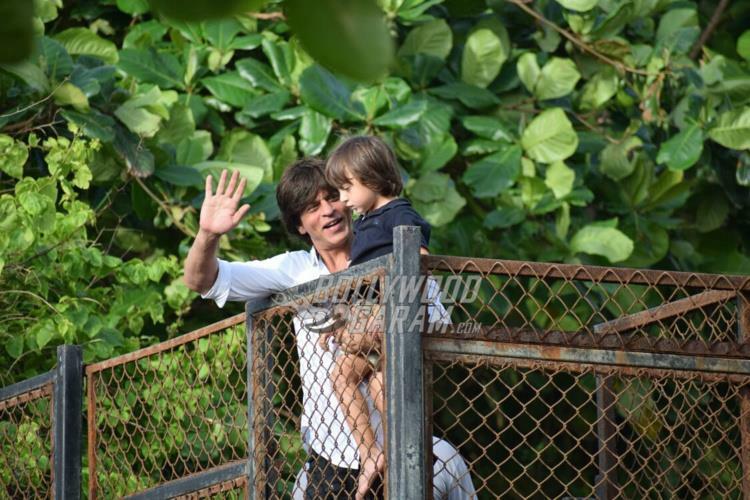 Shah Rukh, during an earlier interview had said, “Be it, Diwali or EID, any chance to meet everyone is always heartwarming. We only offer prayers and wear these clothes on this day. 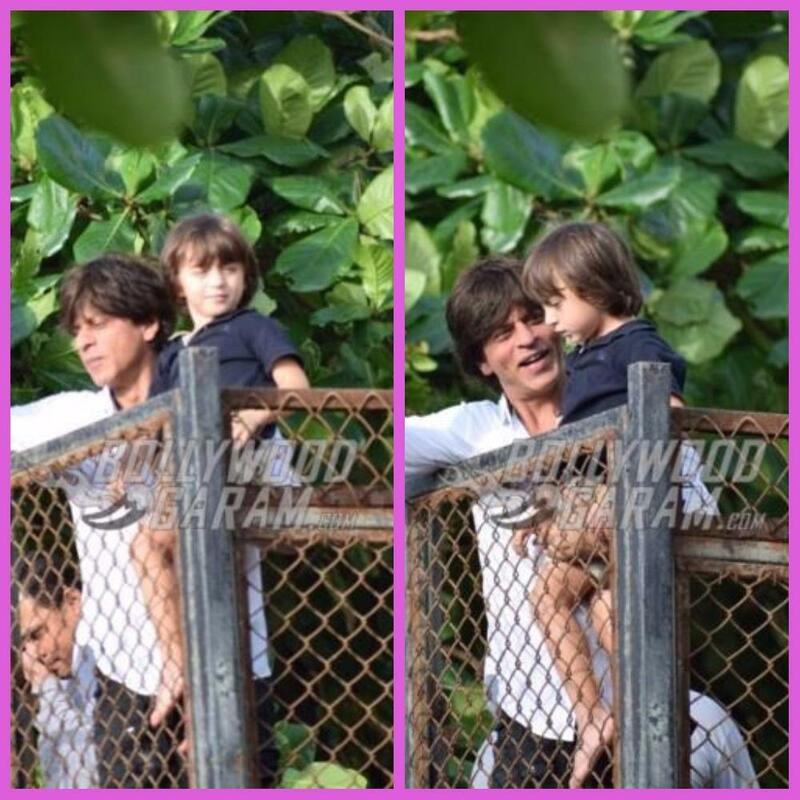 This time my kids have also worn kurtas so I am very happy.” On the work front, the actor was last seen in the film Jab Harry Met Sejal and is currently working on an untitled project by filmmaker Anand L Rai.